Periodically swimming pools need to be drained and refilled wether it be for repairs or because water replacement is needed. The below are only options to help you make an informed decision when having a pool drained. Options to consider when having your pool drained is an acid wash of the pool surface if there are stains that can be caused over time. 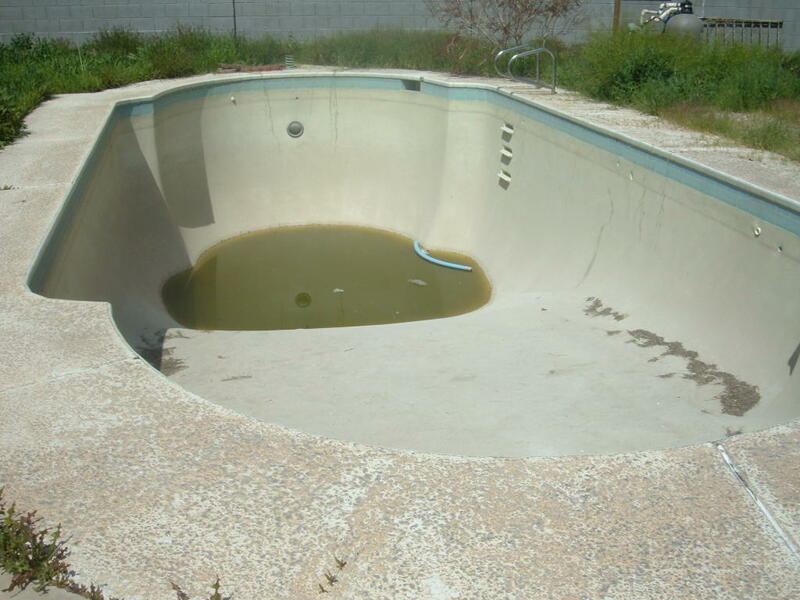 If the pool has gone green then a chlorine wash maybe needed or a green to clean treatment. Consider any other repairs like lights and drain covers when the pool is empty. Also if there is a large build of calcium deposits on your tile line this is also a good time to have this removed although the pool doesn’t need to be drained for the tiles to be cleaned it can be done when full. If there is just a small amount of buildup on the tile this can be removed by using a pool stone that you can rub the tile line with and remove the deposits. If it’s a large build up then you’ll need to consider having it removed by a process called “bead blasting” the tile. Bead blasting is a process of removing deposits by spraying fine sand at high pressure without damaging the tiles surface that removes the deposits. PoolStar doesn’t provide this service but we can refer you to a company that does and coordinate it as needed. 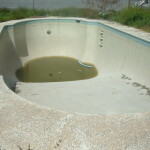 The process of a swimming pool being drained is normally three visits. We would come out and set up the pump for the pool drain into the waste water outlet normally located in the front yard all though they can be located in various locations even within the garage. The following day we would return to either start the fill or do a wash of the pool surface. Once full we would return again to add chemicals and start up the system. A pool drain and acid wash disclosure form would be emailed to you that needs to be signed and returned prior to the work being done. Connect with us if you have any questions. This entry was tagged acid wash, empty pool, green swimming pool las vegas, green to clean, Henderson green swimming pool, swimming pool draining. Bookmark the permalink. ← Swimming Pool Vacuum Cleaner Reviews.